New York-based advertising specialty distributor Motivators Inc. announces the redesign of its website, Motivators.com. 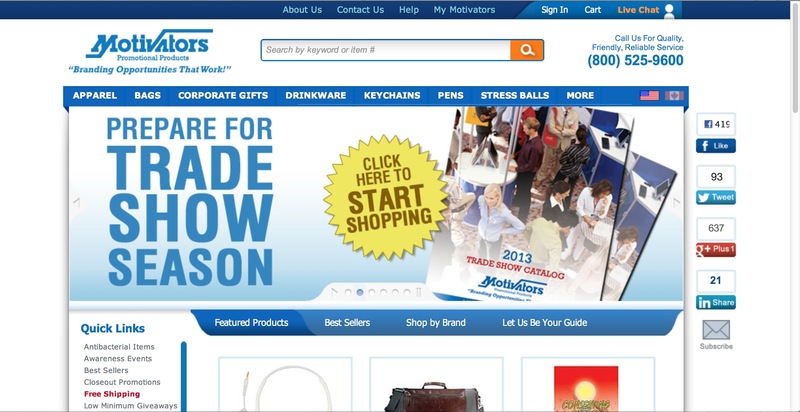 WESTBURY, N.Y., April 8, 2013--Promotional products distributor Motivators Inc. has launched a sleeker, easier-to-use Motivators.com. The updated design provides improved functionality as well as a cleaner look to enhance the customer buying experience. "We're thrilled to roll out our website redesign," said CEO Ken Laffer, MAS, MASI. "It has a fresh feel and improved usability across all parts of the portal, from the homepage to product pages. You will see and you will feel the difference." Customers will notice a revamped shopping cart as well as an updated MyMotivators experience. "Keeping our customers in-the-know at all points of the order process is our goal," Laffer said. Since its founding in 1979, Motivators Inc. has been dedicated to providing innovative branding solutions for businesses. 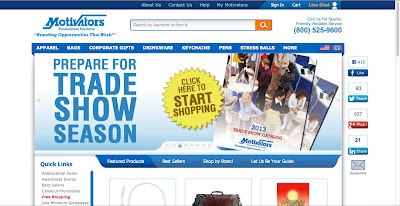 Its website, http://www.Motivators.com, features tens of thousands of imprintable promotional products as well as an array of marketing ideas and solutions. Thanks for letting us know about the relaunch. Have enjoyed your promotional products blog for some time already. Lots of great news on the promo gift industry. Keep up the good work !! Nice products. Very stylist. Perfect for gift.